How do solar and hydropower drive electricity? Solar power and hydroelectric power have been under man’s use for a decade to produce electricity. With the growing need of time for smart production of electricity, these processes have become very reliable. Solar power is debatably the cleanest and the most dependable form of energy. As for the benefits of hydroelectric power, it drives 20% of the world’s energy requirements already. It can be defined as the form of hydropower where the wave of running water (kinetic energy) is transformed into electricity. Working on this cycle is dependent on solar energy as well. The sun plays a major role in driving the water cycle and keeping the natural process in its uniformity. Hydro-energy is potentially converted to kinetic energy under gravitation, which initiates it around. 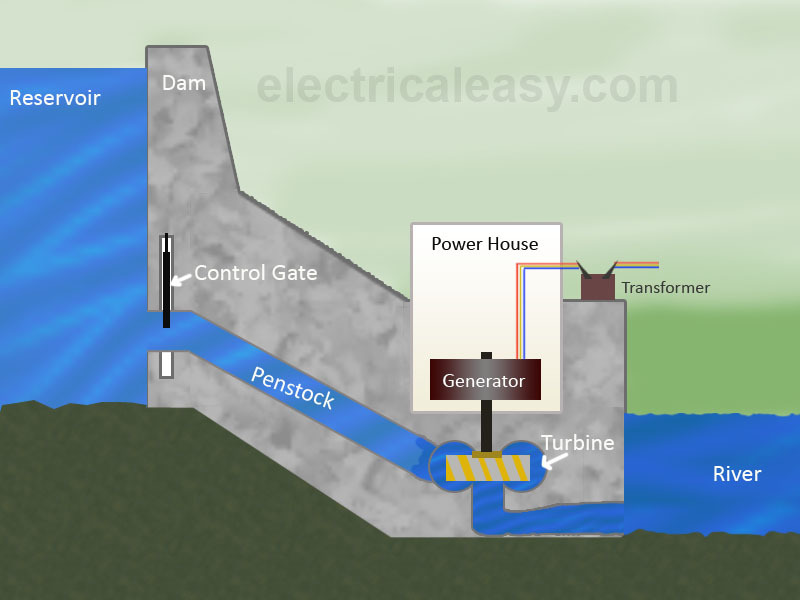 How do hydroelectric power plants work? By placing turbines on the way of a natural flow of water, we can easily convert the hydro-energy into kinetic energy. This, in turn, is used in producing electricity. 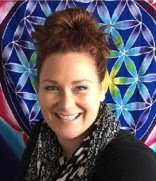 The head and flow will determine the potential energy of the source. The whole process revolves around fast communication between the inlet, power station and turbine wheel, that water passes through. An opening in the dam is used to make gravity drop water through the penstock. Similarly, the moving water makes the turbine spin fast which in turn cause the generator magnets to rotate. This proves out to be the source of generation of electricity. These hydropower plants can be run without the help of dams as well by a process known as run-of-the-river. The process is very similar to the one mentioned above; the difference lies in the natural source of water, that are the rivers. Tidal power is also a form of hydroelectricity. It is also a very promising source to generate electricity nowadays. It results from the sun’s and the moon’s gravitational influence on the ocean tides. The height differences between the tides serve a strong force to function turbines. In most of the areas, solar energy systems are planted at the roofs, under no shade to catch sunlight in the prime hours between 9 am to 3 pm. Energy potential is at its max if the installation is made facing south. However, other orientations can still be helpful. In a solar panel, if only one of the 36 cells is shaded, that can reduce the energy production to up to 50%. Some systems are designed with pivots. These pivots track the sunray journey from amidst the sky. However, if the panel is non-pivoting, it should mimic the latitude of the inclination of the land that it is placed upon. Alternations in the inclinations and orientations can be made to adjust weather changes and times of the day. Solar panels, also called modules, work on the principle of the photovoltaic photon capture system. They consist of a positive and negative film of silicon placed under a thin glass. As soon as the photons reach this part of the panel, they remove the electrons from the silicon surface. No sooner, the negative charge of the electrons is attracted by one end of the silicon surface only, which produces voltage. Which in cycles, drives the whole process simultaneously. 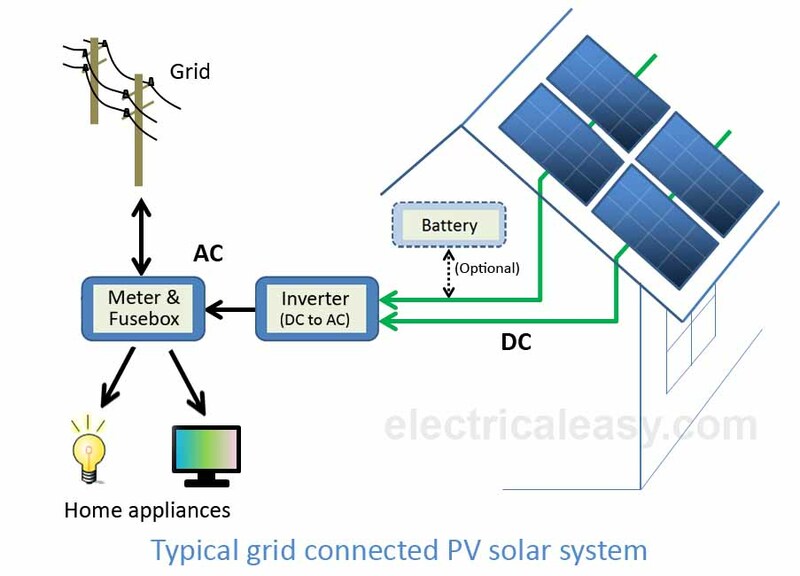 The current produced is collected by wiring the solar panels with wire in series to form a solar photovoltaic array. Multiple loops of solar photovoltaic array terminate into a single electrical box, known as the fused array combiner. Within the solar o&m, the fuses work to protect the module cables individually. The electricity produced through the panel is in Direct form, which has to be converted to Alternating form to supply your needs. In an electric system run by solar power, the DC power is converted to 120/240 volt AC power. This is then fed to the utility power of the building through which it travels ahead. This power is under a net meter. This works to reduce the demand of power from the utility during the generation of the solar energy by the array. If the utility power offline, the grid system completely shuts off. These solar powered systems are known as ‘battery-less’ or ‘on-grid.’ They also account for 98% of solar installments being made nowadays. The inverter is placed in an easily accessible location from the module surrounding. In a residential setup, the inverter is usually paced exteriorly near the sub-panels or the main switches. The main reason to put it according to your comfort it the noise it makes during the process. They work to convert the DC power to a 120 volt AC that can be consumed immediately by a dedicated circuit breaking device. The electricity production meter, electricity net meter, and the inverter are connected. This way the power produced by the solar energy will be first taken up by the electrical loads. There’s a balance kept between the electricity produced and the much that passes out the grid. Whenever there’s more energy production than the net requirement, the utility meter will automatically turn it backward. Cities that have been in the process of using the sources above for the generation of electricity have seen a massive decrement in their overall cost of electricity. Not only this, but the pollution rates and the rates of diseases dependent on such environmental assaults have also declined. At the present day, there’s a very good rate of consumption of healthier and cleaner ways to generate electricity. If the remaining assaults to the environment are taken into account as well, the results can aid the future generations as well.